Unite + Fight is an amazing and fun night where local police, fire, and EMT departments come together to compete in a charity boxing event to raise money for fellow first responders in crisis. In the years past we have had the honor of donating to fellow public servants battling cancer, ALS, and recovering from a kidney transplant. The seventh annual Unite + Fight is scheduled for Saturday, March 9, 2019. This year's recipient is Officer Emily Krob of Brooklyn Park, a 2013 and 2015 Unite + Fight competitor, who was diagnosed in the fall with rhabdomysarcoma, a cancer of the soft tissue that is rare in adults. 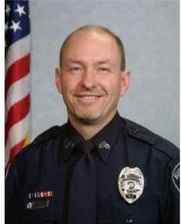 This year’s recipient is Sergeant Rory Bochniak, a dedicated veteran from the Burnsville Police Department. Shortly after retirement, was diagnosed with early-onset Alzheimer’s; a rapidly progressive form. After diagnosis, Rory’s doctors advised there is no viable treatment option, only to live his life as there is no cure for Alzheimer’s. Rory used the funds from the event to aid in his treatment. On January 4 , 2017 Brian was snowmobiling alone when his snowmobile was submerged in a drainage ditch with open water. He was found several hours later in subzero freezing temperatures and was in full cardiac arrest when he was flown to HCMC. After hours of being rewarmed to normal body temperature, and days of being unresponsive, Brian became awake and alert and able to communicate. He suffered severe frostbite and had surgery to amputate both of his hands, both of his lower legs, his ears and part of his nose. Brian is married with 4 children in high school. Unite + Fight funds were able to help the Kokesh family with medical bills. 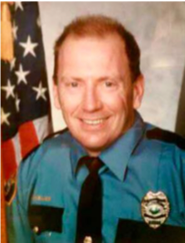 No stranger to the Unite + Fight scene, Sergeant Dave Mueller helped coach boxers for Unite + Fight events in 2013 – 2015 using his extensive experience in martial arts experience. Little did he know that in 2016 he would become a beneficiary when he suffered a stroke on the job. 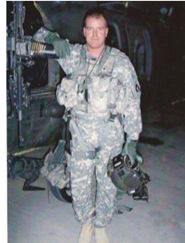 After undergoing a procedure to remove a clot from his brain, Dave was fortunate to get the use of his left side back, but unfortunately, during the procedure to remove the clot, a small piece broke off and went behind his right eye, and he lost partial vision in the eye. The funds from Unite + Fight 2016 helped pay for medical bills and much needed rehabilitation. 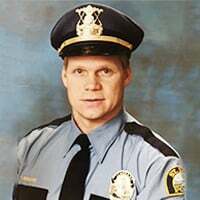 Carlos was a Minneapolis police officer for 6 years when he was diagnosed with Lupus in 2008, which unfortunately also affected his kidneys. In 2014 Carlos went into renal failure and was on dialysis every night for 7 months. Carlos was on the national kidney transplant list for almost 2 years when he posted his story on Facebook and a donor that read about his situation stepped forward to donate a kidney. 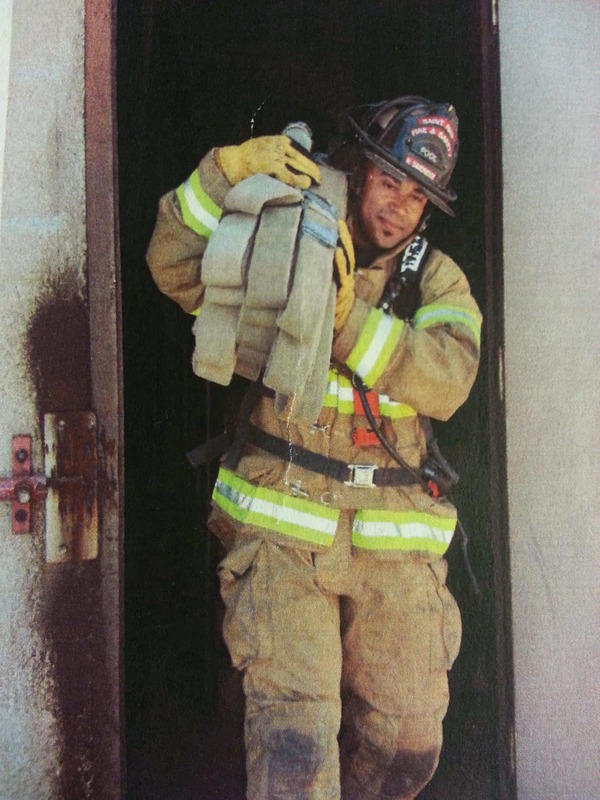 The Unite + Fight funds helped Carlos with his medical bills and his recovery time off the job. Mike and Nakia’s stories and health issues are what helped create Unite + Fight. Interested in Sponsoring Unite + Fight 2019? 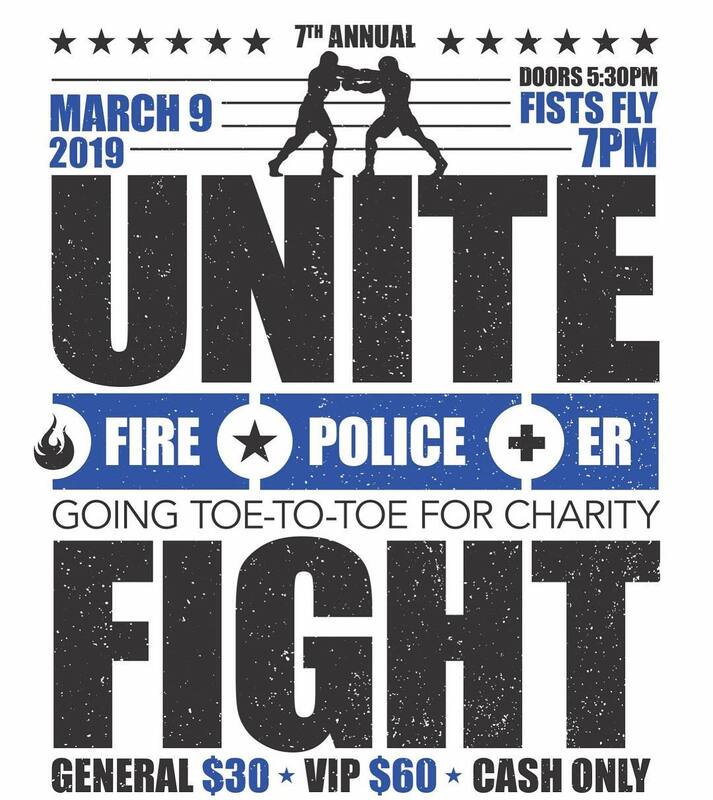 Unite + Fight is a charity boxing event full of camaraderie and raw energy that brings together local police, fire, and ER departments to compete to raise money for fellow first responders in crisis. This year's recipient, Brooklyn Park Police Officer Emily Krob, is not stranger to Unite + Fight. In 2013 and 2015, she stepped into the ring to fight for St. Paul first responders. Krob was diagnosed with rhabdomyosarcoma, a cancer of the soft tissue that is rare in adults. She is currently undergoing chemotherapy. As a result of her treatment, she has been placed on medical leave from her job. You are invited to support Emily's recovery as a sponsor of Unite + Fight. When you take advantage of this exceptional promotional opportunity, you’ll have more than a few ways to reach 1,500 people at the live event and 1,200+ local followers on Facebook and Instagram. Sponsor benefits are available below when you select your sponsor level. With Upper Midwest Golden Gloves as a sponsor of this event, your sponsorship is tax deductible. 501(c)(3) information will be provided. 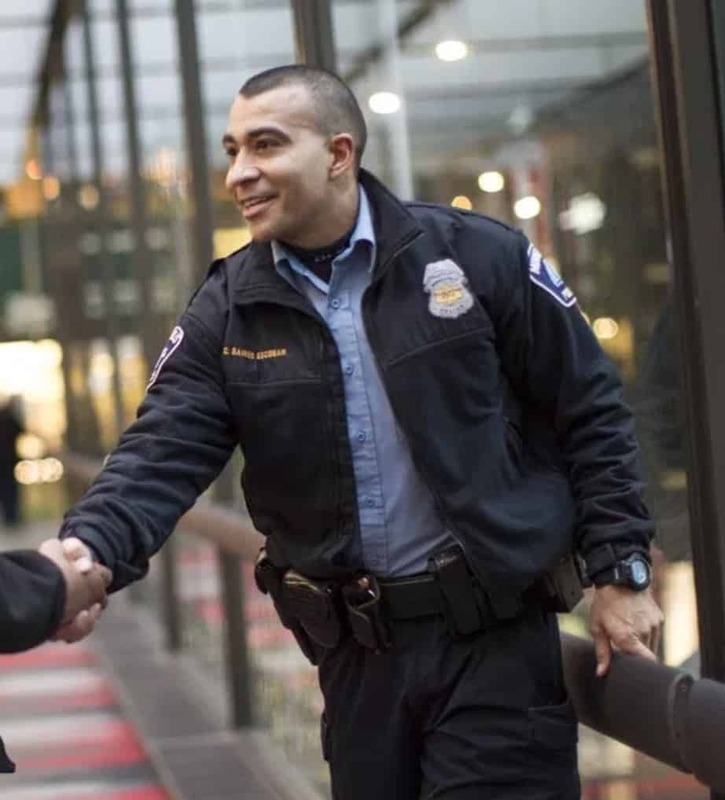 We hope you'll join us in building community spirit and making a big difference in this first responder's life.